Written by identical twins Tom Caraccioli and Jerry Caraccioli, the book chronicles the stories of Olympic team members who trained thousands of hours for their once-in-a-lifetime chance at Olympic glory in Moscow only to become pawns in a political Cold War chess match between superpowers. The book also outines the Soviet invasion of Afghanistan that led to the boycott, efforts by some athletes to overturn to the boycott by legal means and the entire 1980 team’s eventual ceremonial gold. Former Vice President Walter F. Mondale wrote the book’s foreword. 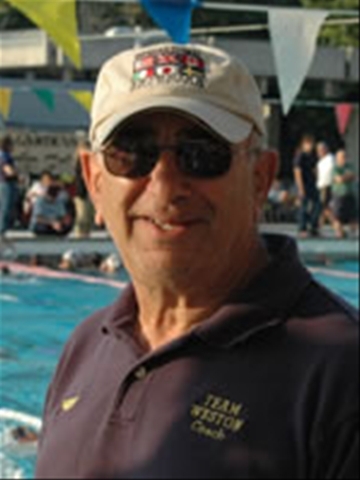 Beardsley, a native of New York, N.Y., resident of Chatham, N.J., and a standout swimmer at the University of Florida set the world record in the 200 butterfly at the 1980 Olympic Trials. Don Paige (Athletics) Philadelphia, Pa.
Gwen Gardner (Athletics) Los Angeles, Calif.
Gene Mills (Wrestling) Pompton Lakes, N.J.
Bill Hanzlik (Basketball) Beloit, Wisc. Amy Koopman (Gymnastics) Arlington Heights, Ill.
Isiah Thomas (Basketball) Chicago, Ill.
Carol Blazejowski (Basketball) Fairview, N.J.
Luci Collins (Gymnastics) Englewood, Calif.
David Kimes (Shooting) Monterey Park, Calif.
Brian Gust (Wrestling) Lakeville, Minn.
Linda Cornelius Waltman (Athletics) Ft. Worth, Tx. Thomas Schuler (Cycling) Birmingham, Mich.
Debbie Landreth (Volleyball) El Segundo, Calif.